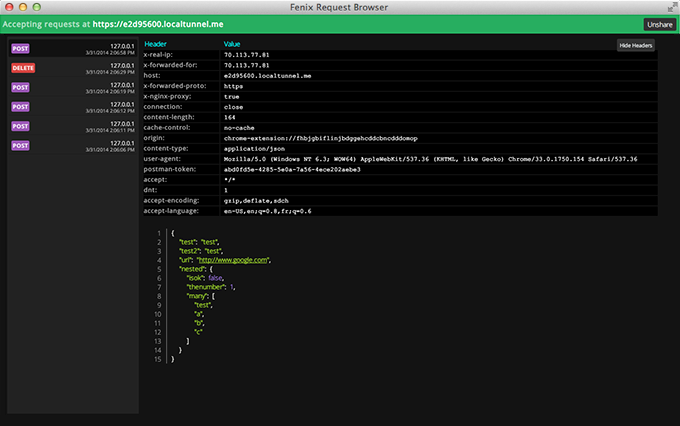 Finally, a simple static desktop web server. Because simple stuff shouldn't need Apache, IIS, or Nginx. It runs on Windows and OS X, has a boatload of features, and coolest of all: it accepts POSTs, PUTs, etc. and lets you browse the data payloads. This looks great for testing webhooks.